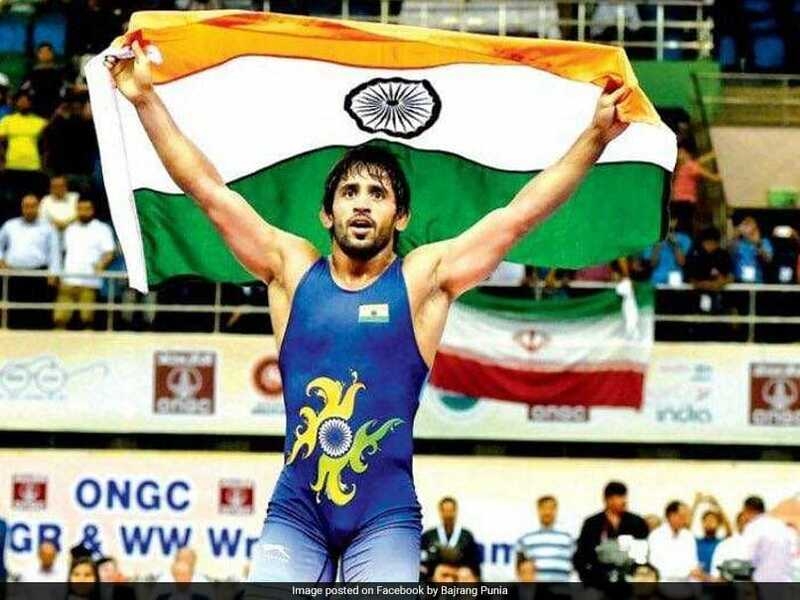 Highlights of Asian Aames 2018, Day 1: Wrestler Bajrang Punia won the bronze medal in the 65Kg freestyle wrestling final. 20:50 IST: Thank you for staying with us for the live commentary of the Indians in action on day one at the 2018 Asian Games. 20:46 IST: Wrestler Pawan Kumar loses men's freestyle 86 kg category bronze medal match to Mongolia's Uitumen Orgodol. 20:15 IST: FULL-TIME! India thrash Indoenesia 8-0 in the women's tournament Pool B clash. 19:34 IST: GOLD! India's Bajrang Punia beats Japan's Daichi Takatani; wins gold in 65Kg freestyle wrestling finals. 19:30 IST: Bajrang Punia leads 6-4 against Takatani Daichi of Japan after first period. 19:27 IST: Indian wrestler Bajrang Punia is in action against Japan's Takatani Daichi in Men's Freestyle 65 kg final. 18:41 IST: GOAL! Udita puts India in front with a fine finish in the 6th minute of the first period in the women's Pool B hockey match. 17:59 IST: Wrestler Pawan Kumar to face Mongolia's Uitumen Orgodol in Men's Freestyle 86 kg Bronze Medal. India's Srihari Nataraj finishes 7th in men's 100m backstroke with a time of 56.19 seconds. 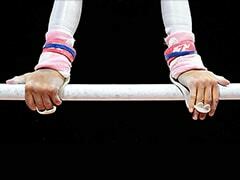 China's Xu Jiayu bags gold. Japan's Irie Ryosuke winssilver while Korea's Lee Juho takes home the bronze. 17:49 IST; Men's 100m Backstroke Final featuring Indian swimmer Srihari Nataraj is underway. 17:10 IST: Wrestler Pawan Kumar stays in contention for bronze as he beats Indonesia's Fahriansayah 11-0 in his first repechage bout. 17:02 IST: Srihari Nataraj and Sajan Prakash will be going for gold in men’s 100m backstroke & 200m butterfly event. Our swimmers & #TOPSAthlete-@srihari3529 & @swim_sajan will be going for gold in men's 100m backstroke & 200m butterfly events at 5:25PM & 5:57PM respectively! 16:50 IST: Wrestler Bajrang Punia will face Japan's Takatani Daichi in Men's Freestyle 65 kg final. India's Bajrang Punia storms into the final. Assured of atleast a silver medal after a thumping 10-0 win over Batmagnai Batchuluun. 16:21 IST: India's Bajrang Punia is up against Mongolia's Batmagnai Batchuluun. In the first period, Bajrang is already 8-0 up against his Mongolian opponent. Bajrang Punia dominating. He takes a 9-0 lead against Fayziev Abdulqosim from Tajakistan in the first period. Bajrang Punia defeats Khasanov Sirojiddin from Uzbekistan 13-3 in the 1/8 Finals. He enters the quarter-finals. Sandeep Tomar adds two more points. 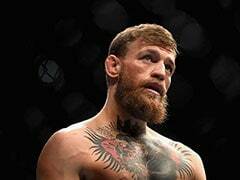 He has defended the slender lead well. 11:55 IST: Bronze medal for India! Apurvi Chandela-Ravi Kumar have scored 429.9 in the 10m Air Rifle Mixed Team Final event to bag home a bronze medal. Chinese Taipei and China bagged the gold and silver medal respectively. Apurvi Chandela-Ravi Kumar have scored 390.2 points after 38 shots. India tied at the second spot with China. Apurvi Chandela-Ravi Kumar maintain second spot for India. They have scored 308.5. 11:11 IST: India men's badminton team will face Maldives in the Round of 16 match later in the day. Manu Bhaker and Abhishek Verma have failed to qualify. They shot a total of 759 points to finish sixth. Seema Tomar is on the fourth place with 69 points. Shreyasi Singh has moved up to fifth place with 64 points. Manavjit Singh Sindhu is currently on the third spot with the average of 0.960. He has a total of 48 points. Team of Manu Bhaker and Abhishek Verma currently of seventh place with 217 points. Manavjit Singh Sindhu tops the Day 1 qualification with an average of 0.976. He has a total point of 41. 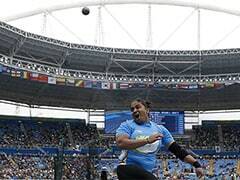 Seema Tomar averages 0.946. She has a total of 35 and is on the fifth spot. Shreyasi Singh averages 0.889. She is on the 13th spot. Chinese Taipei had take an early 3-2 lead. But India comes from behind to equalise 3-3. Anjul Namdeo finishes fifth in Men's Changquan. China's Sun Peiyuan clinches the gold medal. 08:12 IST: First win for the Indian Contingent at Asian Games! What a start. Indian women's kabaddi team outclass Japan 43-12 in their opening Group A tie. Saurabh Sangvekar clocks 1:54:87 in 200m Freestyle Heat. He finishes second but fails to qualify. India lead 38-10. Time-out has been called the Japanese team are taking some tip from their coach. 08:05 IST: Meanwhile, Manavjit Sandhu has got a perfect start in shooting. He has shot 25 out of 25 in the opening round. Apurvi Chandela and Ravi Kumar have shot a total of 208.6 in the first series of 10m Air Rifle Mixed Team event. Indian women team are dominating with 25-8 lead. Seema Tomar is at the second place with an average of 0.96. 24 out of 25 targets. 07:30 IST: Hello and welcome to the live commentary from the Day 1 of the Asian Games 2018. Anish Bhanwala, 15, became India's youngest Commonwealth Games gold medallist when he won the men's 25m rapid fire pistol, snatching the honour from 16-year-old Manu Bhaker who had won the women's 10m air rifle finals on the Gold Coast barely a week before. A third teenager, rifle shooter Elavenil Valarivan, will be another strong contender after landing two junior World Cup gold medals setting a new world record in the process. The wrestling mat could prove equally high-yielding and Bajrang Punia's sizzling form makes the 2014 silver medallist India's best bet for a gold in Jakarta. The freestyle wrestler won the 65kg gold at the Commonwealth Games and was not required to attend trials for the Asiad. In the women's section, Gold Coast champion Vinesh Phogat (50kg) will be a strong contender for the gold medal. New training methods introduced by Argentine-born Swedish coach Santiago Nieva have been credited for the Indian success in recent boxing tournaments. India have won all nine kabaddi gold since its inclusion in 1990 and the trend is unlikely to change, while anything less than gold will be a disappointment for the men's hockey team who were runners-up in the Champions Trophy. Commonwealth Games javelin champion Neeraj Chopra also gave himself a major morale boost on the Gold Coast in a rare athletics success for the country and the 20-year-old will be the flag-bearer in Jakarta.